There are many natural health benefits provided by the Premium Montmorillonite clay used to create the many brand names produced by California Earth Minerals under the ION-MIN® umbrella. Each of the brands are containerized for a specific use. Each product offers a special health benefit and is processed to insure the clay is the proper size to provide an efficacy for the particular application. 1. The majority of PMC molecular particles are less than a micron in size. 2. It has a minimum of 844 sq.ft./gr surface area for maximum efficiency. 3. There is a clearly defined crystal lattice structure of the molecule. 4. The negative ionic charge has to be strong enough to survive gut milieu. 5. The pH should be mildly alkaline and free from man-made contamination. 6. There is a wide diversity of elements proportioned at safe levels. ION-MIN® clays are tested to insure they meet or exceed this criteria. 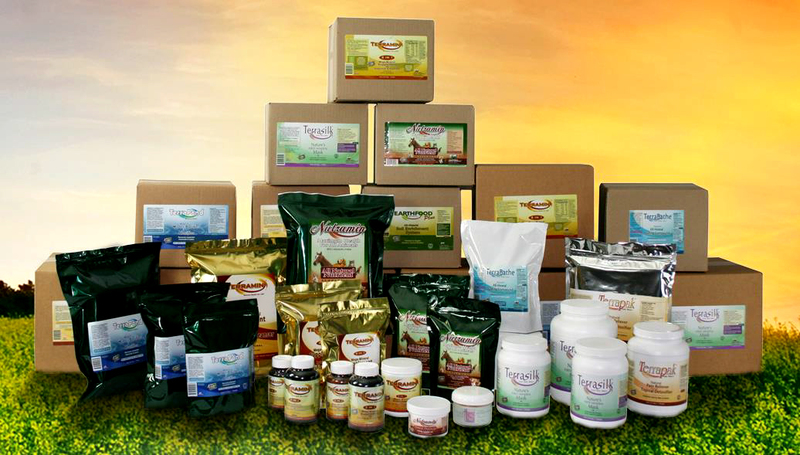 Our edible minerals product excels in each of these critical values. Following are the brand names and applications for each of the PMC's that is marketed by California by their authorized resellers. TERRAMIN® Edible Minerals is both a Detoxifier and a Mineralizer and the brand name for a product that provides human health benefits. Terramin is ION-MIN's ingestible product and has been marketed using this name since 1997. TERRASILK™ Face Masque is an excellent natural product that helps clear skin conditions and provides a spa quality face mask. 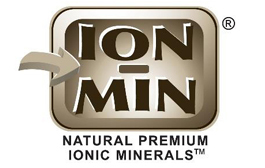 This product has been one of ION-MIN's sub brands since 1997. TERRAGLACIAL™ Glacial Green Clay is the newest addition to ION-MIN's line of products for human use. It has been marketed using this brand name since 2012. TERRABATHE™ Mineral Bath product is another human use product. It provides a full skin detoxification, relaxes the body and revitalizes the body. This brand was proudly added to the ION-MIN line up in 2007. TERRAPAK® Natural Pain Relief Is ION-MIN's sub brand that is a great way to alleviate pain from cuts, scratches and insect bites. Since 1997, the anti-bacterial quality of the product is comforting and it alleviates the pain associated with these problems. Sprains and sore joints are soothed with this natural product. NUTRAMIN® Mineral Supplement for the health of all animals. Mineral deficiency is as real for our pets, farm and ranch animals, and they face the same dilemma as mankind. Providing a means for your pets to receive minerals will promote their longevity. TERRAPOND™ Water Clarifier, KOI and fish supplement was one of ION-MIN's original brands. It clarifies water to a crystal, clean appearance. Fish thrive on the minerals and benefit from the anti-bacterial quality. EARTHFOOD™ Premium Montmorillonite clay adds macro, micro and trace minerals into the plants and ION-MIN's Earthfood plus has 12% added organic dried blood meal to accelerate the growth of new starts. California Earth Minerals distributes all the ION-MIN products domestically and Internationally. The company is dedicated to their authorized resellers offering both Dealer and Medical Practitioner wholesale channels. California Earth Minerals does not sell direct to non-resellers. ©2015 ION-MIN.com. All Rights Reserved.